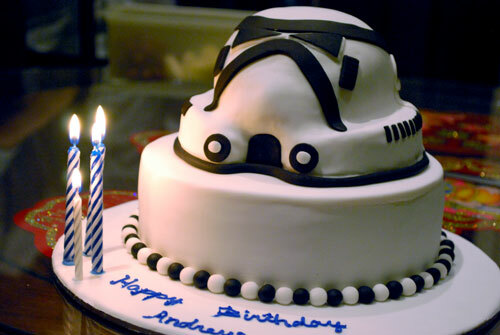 One thing I’ve never gotten before was a 3D customized birthday cake, so this year my wife got me the most awesome one ever – a Stormtrooper cake! It’s all kinds of sugary sweetness, and I love it. Of course, it also helps a lot that it doesn’t contain bits of strawberries or mango and stuff… cos I really hate that on a cake. Wouldn’t want to cut open a Stormtrooper’s helmet only to find some strawberries, right? Happy new year to you guys! Posted by Drew on December 31, 2010 in Random thoughts. Welcome to my blog! It's not really about goats or anything though. Saturday posts are written by my dog Sonic, so come see and see the world from a dog's view! Follow my blog via email spam! The job application process illustrated by pop music. Ovation: Presidential Proclamation – June 2014 is LGBT Pride Month.